Discard the fluid seals. 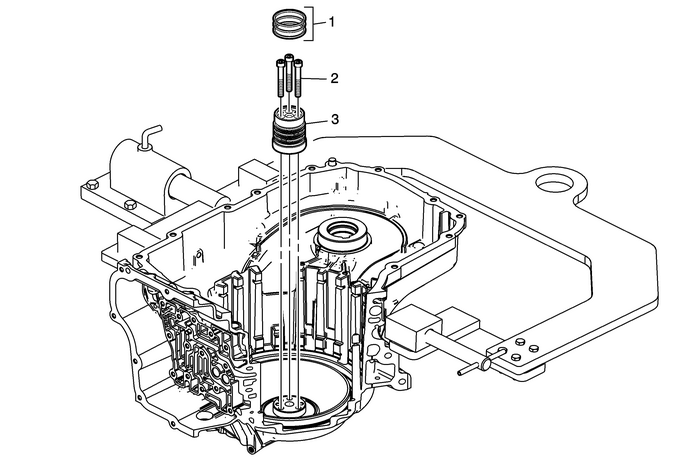 They are not reusable.Refer to3-5-Reverse and 4-5-6 Clutch Fluid Seal Ring Replacement. Note:Inspect the support for wear, damage or porosity.